Before you start reading, note that this article contains spoilers for Avengers: Infinity War, so if you haven’t seen the movie and plan to, come back and read this after you’ve seen the movie. For those of you that have seen the movie you most likely remember that Thanos wins against the Avengers, turning half of the universe’s living beings to dust. A post-credits scene depicts Nick Fury paging an unknown individual as he too turns to ash. The camera slowly pans over to the pager, revealing an image that astute Marvel comic book fans recognize as belonging to the famed Captain Marvel. 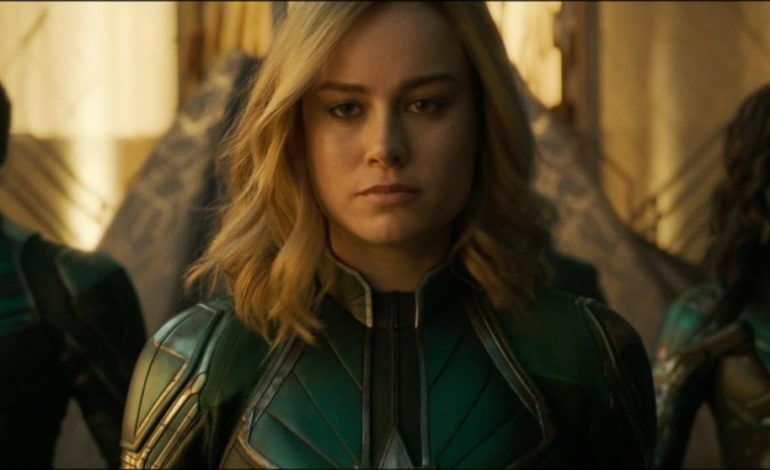 Despite the excitement surrounding the powerful hero finally coming to the big screen, many fans have been asking, “Why did it take so long?” For starters, Captain Marvel is one of the most powerful superheroes in the Marvel canon and could have helped in some of those big fights in the other Marvel movies. Screenrant provides some answers to this question by citing the Captain Marvel Prelude comic. They draw attention to a conversation between Nick Fury and Maria Hill that alludes to Fury seeing Captain Marvel as a superhero that will never let him down. During the attack in New York in the first Avengers movie and the battle in Sokovia from Avengers: Age of Ultron, Nick Fury had faith in the Avengers’ ability to emerge victorious. He knew that they could handle Loki and stop Ultron, and because of that he didn’t feel the need to call in his powerful friend. But at the end of Avengers: Infinity War, everything is in shambles. The world is in chaos; Tony Stark and numerous other heroes have gone missing and people are disappearing right in front of his eyes. He realizes that now is the time to call in his ace in the hole, the one hero he knows can get the job done. You can access a link to purchase the Captain Marvel Prelude comic by clicking this text.